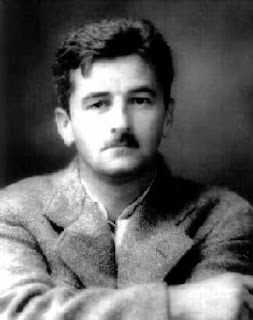 On William Faulkner's Absalom, Absalom. There is something about this book that puts me in mind of the movie The Three Faces of Eve, or of James Frey's A Million Little Pieces and the question of how identity is related to perception. Who is Thomas Sutpen? Is he the desperate child clawing his way out of poverty? the heartless husband whose only need of a wife is to help him breed a dynasty? A man driven by self-hatred or driven by ambition to prove that the past never mattered? Is Sutpen his own worse enemy or is fate? If Sutpen only exists in memory, whose memory truly keeps him? And on Quentin....what hell must it be to be the keeper of another man's soul? A man he hates but who represents the South...a South he claims to love. Suicide seems like a no-brainer. Related (at least in my way of thinking): "MEMORY likes to play hide-and-seek, to crawl away. It tends to hold forth, to dress up, often needlessly. Memory contradicts itself; pedant that it is, it will have its way. When pestered with questions, memory is like an onion that wishes to be peeled so we can read what is laid bare letter by letter. It is seldom unambiguous and often in mirror-writing or other disguised. Beneath its dry and crackly outer skin we find another, more moist layer, that once detached, reveals a third, beneath which a fourth and fifth wait whispering. And each skin sweats words too long muffled, and curlicue signs, as if a mystery-monger from an early age, while the onion was still germinating, had decided to encode himself.